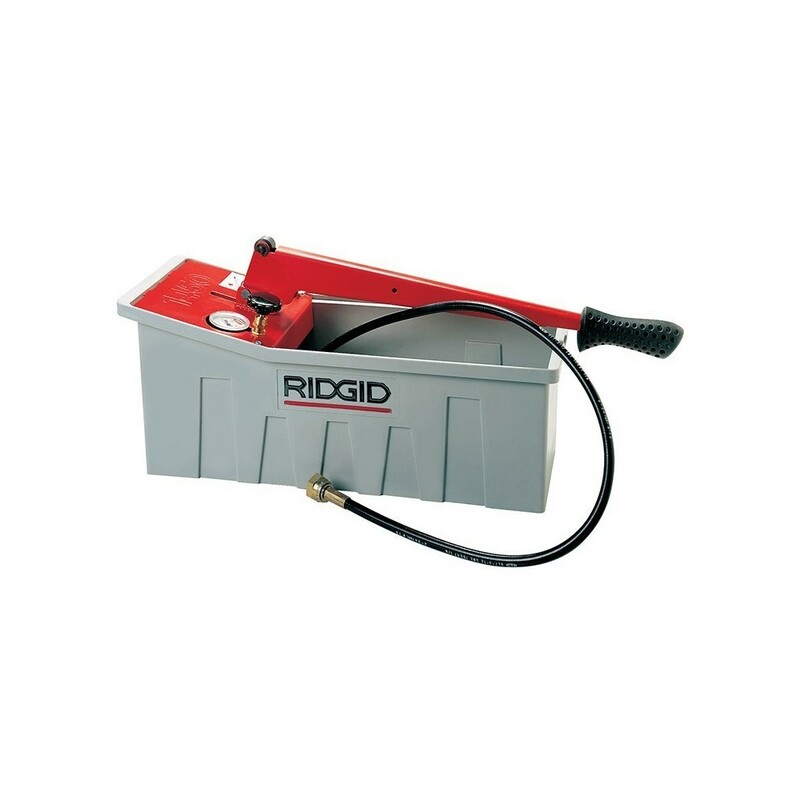 RIDGID Model 1450C Pressure Test Pump. Tests all types of installations such as heating, compressed air and refrigeration systems, oil installations, fire lines and small bore pipelines. The automatic pressure holding valves enables the user to easily pressurise the system. Compatible fluids include water, oil and ethylene glycol. Can be connected to water supply for rapid filling. 1450C is a Model without gauge (1⁄4" BSPT connection). • Very low effort required to operate. • Pressure maintained automatically – no valve to be closed manually. • Filter on inlet and outlet for better reliability. • Two-stage lever action for fast filling of system and pressurization. • Plastic container with capacity of 13,5 l (water, oil, ethylene glycol). • Volume / stroke: 38 cm..
• Includes an aluminium and a carbon enhanced PTFE piston pump for longer life.